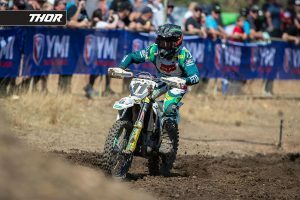 It’s been a strange start to the 2019 Pirelli MX Nationals, and the championship standings currently reflect that. In this instalment of Q&A, MotoOnline.com.au answers the burning questions on why the beginning of this season has been a odd one! Q: We’re two rounds in, what’s the points situation in MX1 and MX2? 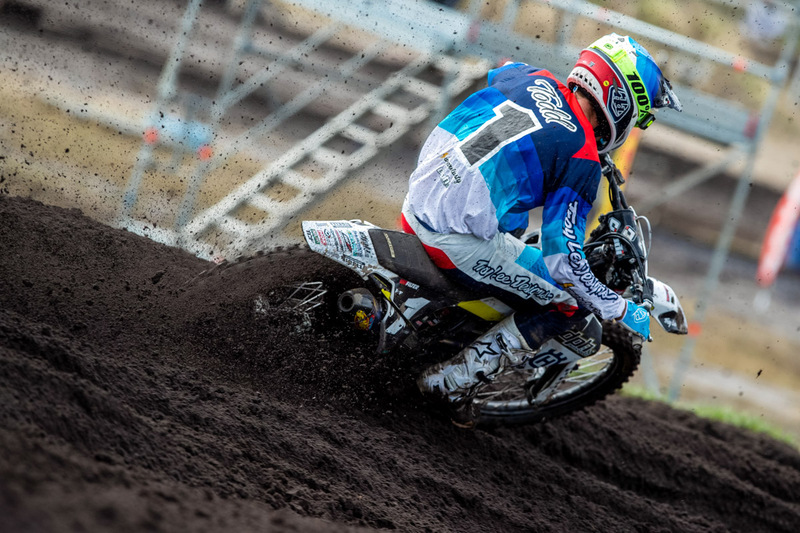 A: Currently, Hayden Mellross (Raceline KTM Thor) controls the standings in the premier in his return season to the outdoors series where he holds a slender three-point buffer over CDR Yamaha Monster Energy’s Luke Clout. The MX2 class sees reigning champion Wilson Todd (DPH Motorsport Husqvarna) with the red-plate following a consistent start to his title defence, with Jy Roberts (Raceline KTM Thor) in second – unfortunately, he won’t be lining up at the coming rounds after sustaining a serious injury. Q: Have any title favourites been established? A: Honestly, either championship can go in any direction at this stage – there have been no ‘breakout’ title favourites that have dominated the opening rounds, and with both classes so competitive and incredibly tight in the points, it’s only going to take one slip up for it to all be over. Obviously, the leaders of Mellross and Todd are the favourites at this stage, but as we’ve seen, that could very well change this weekend. 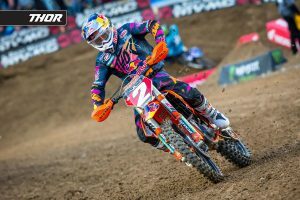 Q: Todd Waters has won two motos from three, why isn’t he leading the series? A: Just another factor in the strange start to the year is that DPH Motorsport Husqvarna talent Waters has won majority of premier class outings, yet he’s ranked in fourth. Well, that’s because the former grand prix rider suffered a mechanical DNF at Wonthaggi, where his subframe was damaged too severely to continue in a main straight clash. He’s 19 points down on the lead, although that’s not a concern for the popular and confident Queenslander. Q: Brett Metcalfe is out of the top 10, why is he so far down the points order? A: It’s seems as though the Penrite Honda Racing rider can’t catch a break this year! Firstly, he fractured multiple vertebrae six weeks out from Appin’s opener, and somehow recovered in time for round one to salvage fourth and keep his title hopes alive. 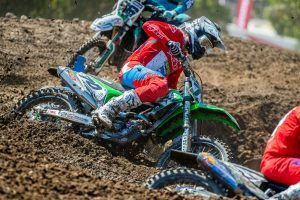 However, a nasty first turn crash at Wonthaggi saw him forced to accept a DNF, while also suffering a broken finger in three places, separated AC joint and a hematoma on his thigh. He’s said to be lining up this weekend. Q: Penalties seemed to have popped up a couple of times already, what’s the deal there? A: And they’ve certainly played their part! 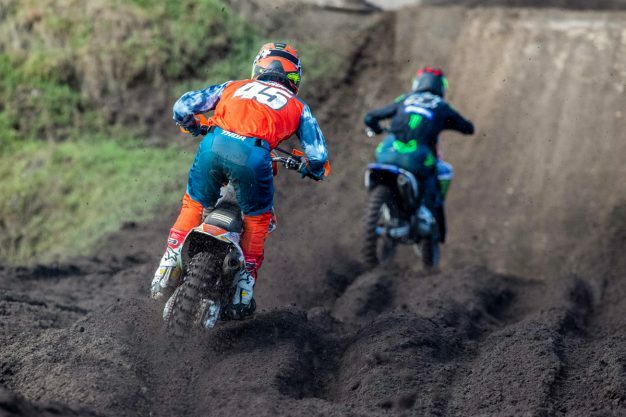 At round one, Mellross was handed a track infringement penalty, which denied him of a maiden victory and the points lead, while at Wonthaggi, Clout received penalties in both motos for track infringements, however he still pulled through for the overall win. MX Nationals have always been strict on enforcing the rules, and they aren’t playing around this year.